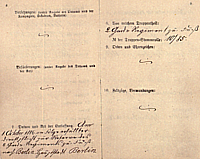 Carl and Gertrud's three children were born in the Berlin suburb Charlottenburg: Herbert Hermann (my grandfather, on 19 July 1898), Else (14 Feb. 1902), and Erich Ernst Günther (7 Feb. 1907). 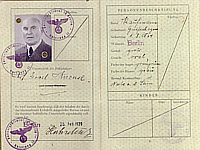 The passport images below document how Carl was able to escape from the Nazis. 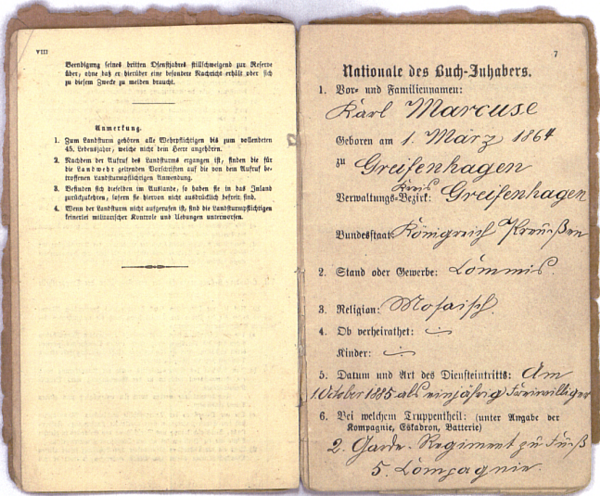 His November 1927 (age 63) driver's license and 1885 (age 21) military service book give some indication of his life under the preceding German governments, the "Weimar Republic" of the 1920s and the "Kaiserreich" of 1871-1918..
Carl Marcuse's passport was issued on Feb. 25, 1939. 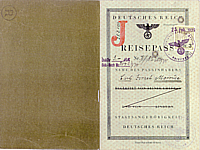 As per the law passed on Oct. 5, 1938, it was stamped with a red "J." 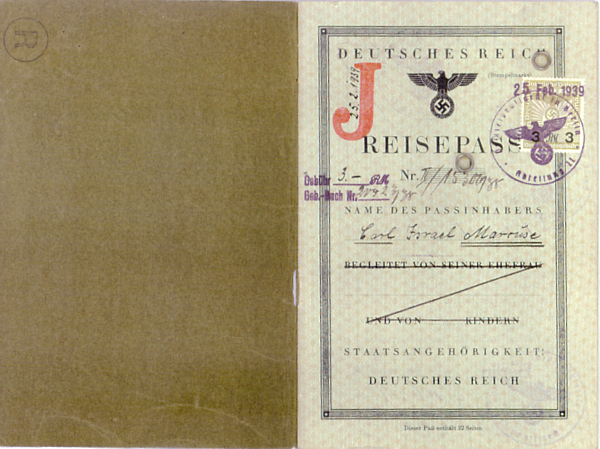 As per a law passed Aug. 17, 1938, all Jewish men had to have "Israel" in their name, effective Jan. 1, 1939. 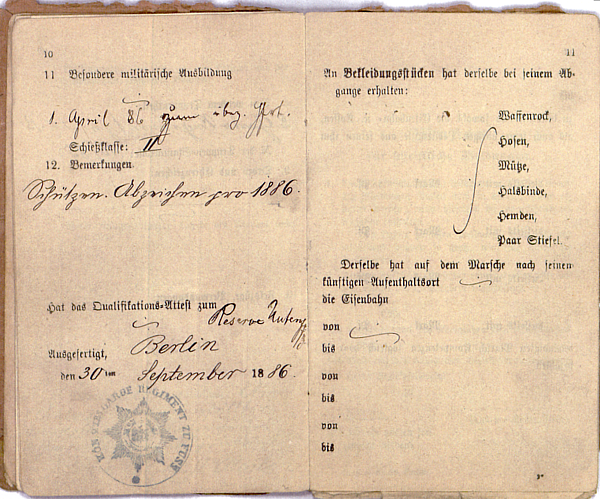 Carl included it in his passport signature. Carl's passport expired on 25 Feb. 1940. 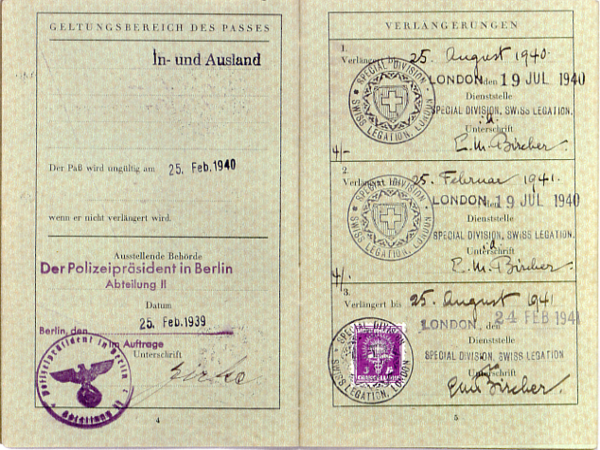 It was renewed by the Swiss legation in London until 25. Aug. 1940 and 25. 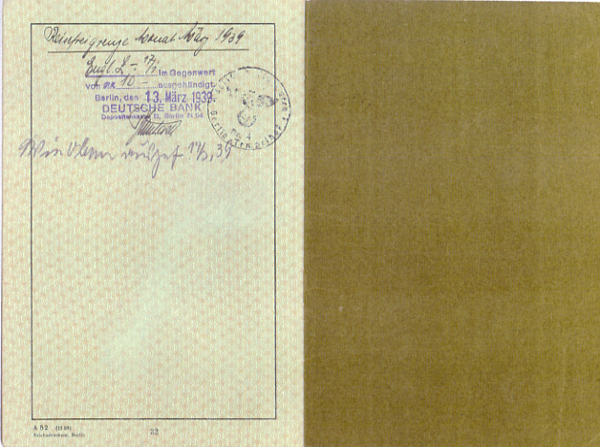 Feb. 1941, then again until 25 Aug. 1941. 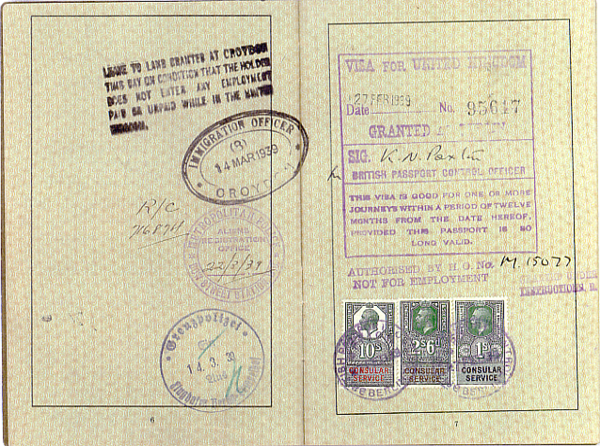 Carl was granted a visa to the UK on Feb. 27, 1939. On Mar. 14 he left from Berlin Tegel airport, arriving the same day at Croydon. On March 22 he registered at the Bow St. police station in London. 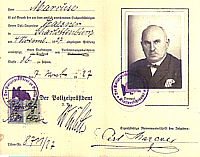 On Sept. 5, 1940 he received British quota number 6074. 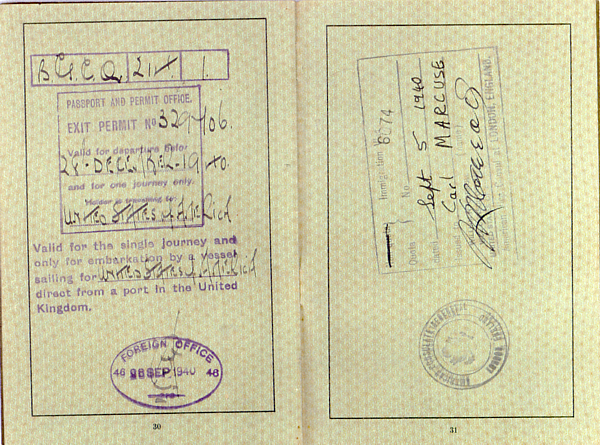 On Sept. 28 he received an exit permit for one journey to the U.S. before Dec. 28, 1940. 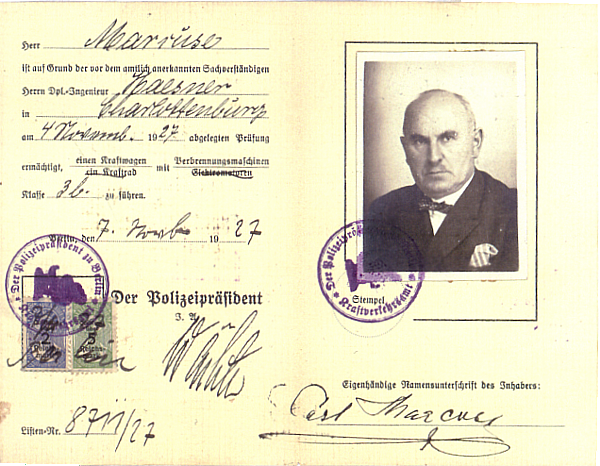 Carl Marcuse obtained his driver's license (at right) on 4 November 1927 at age 63. 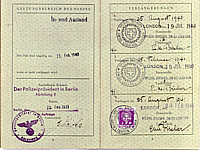 Beginning Dec. 3, 1938 Jews' drivers's licenses became invalid and were confiscated. Carl must have been able to smuggle his to London. 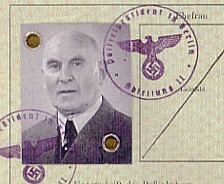 Detail of currency exchange from Carl's passport. 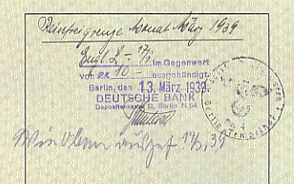 RM10 on 3/13/1939. 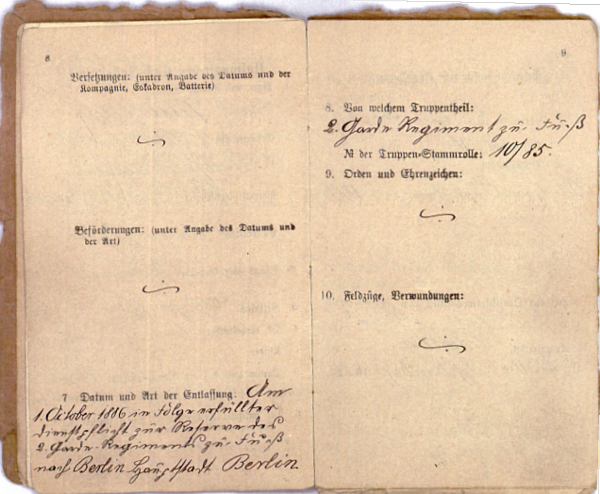 Carl's army reserve book gives his religion as "Mosaisch" (#3). 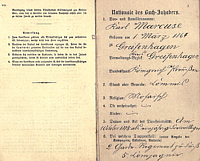 He was released from the "2nd guard regiment on foot" on 1 Oct. 1886. 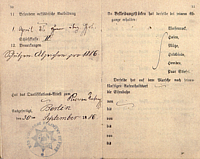 On Sept. 30, 1886 Carl was certified qualified for the reserve in shooting class II. back to top, Marcuse Family homepage, Herbert Marcuse official homepage.